Lisa Bilaski | Director of scenic design for UM-Flint's production of "My Children! My Africa!" During the recent performances of My Children! 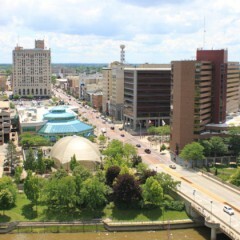 My Africa!, UM-Flint senior Lisa Bilaski seated audience members as one of three ushers. Then, along with the rest of the crowd, she enjoyed the show. But the lens through which she watched the performance was unique. 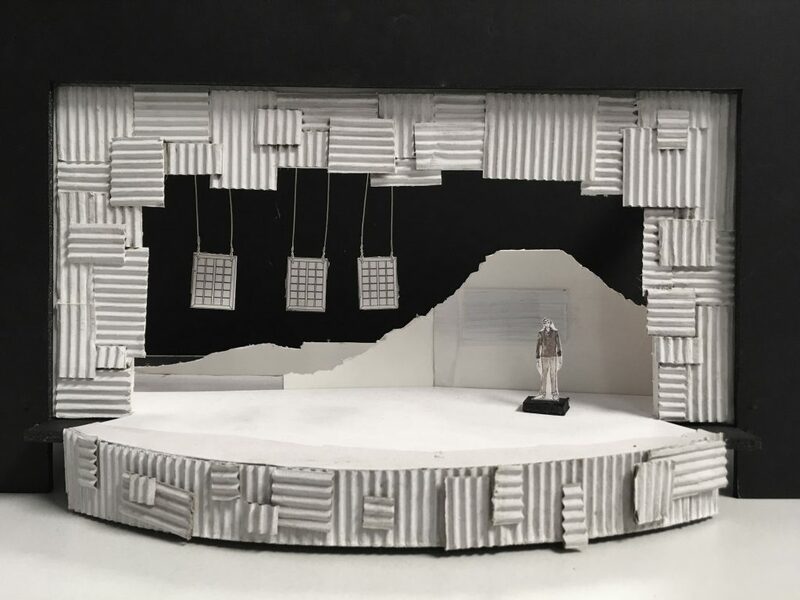 As the production’s director of scenic design, Bilaski was able to watch her education and talent take full form, scene by scene, act by act. Bilaski said her studies within the Department of Theatre & Dance, which put on the play, prepared her for the role of setting the stage. “I love this department because it gives students such a chance to be creative and grow as professionals and as individuals,” she said. My Children! My Africa! 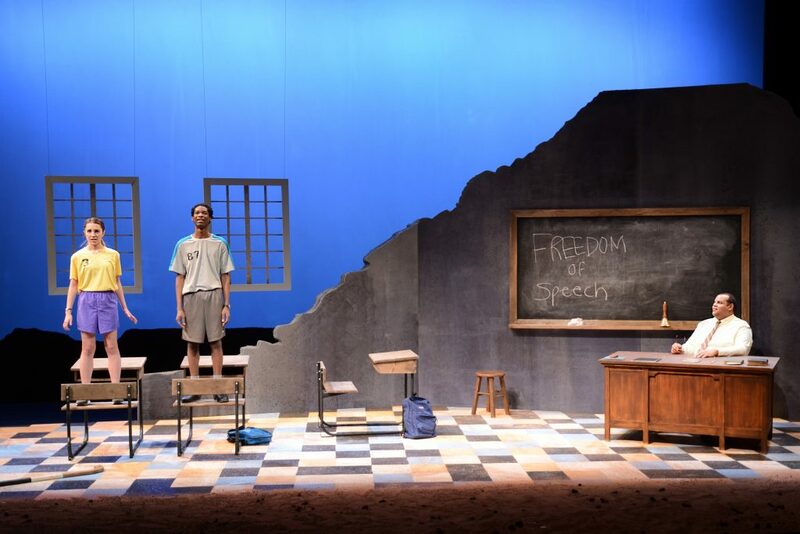 is set within 1980s apartheid-era South Africa, with the three characters spending much of their time in a classroom. 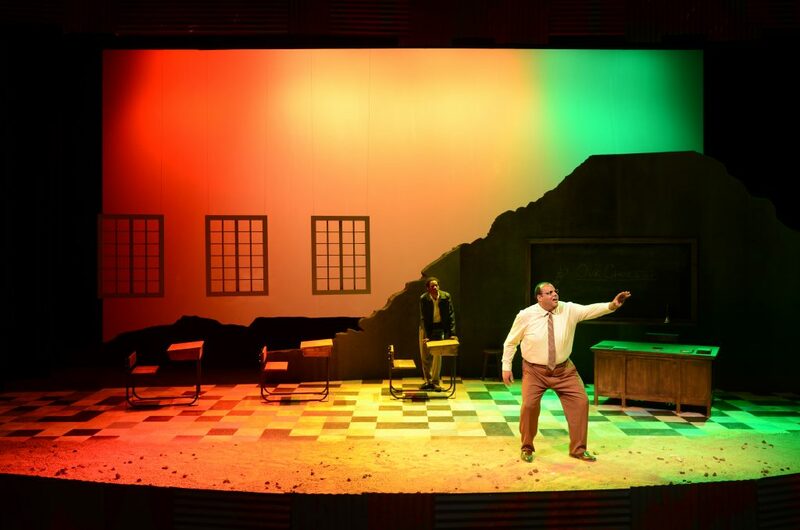 The scenes include tension between a student and teacher, which highlighted the conflicting ways in which people reacted to apartheid. 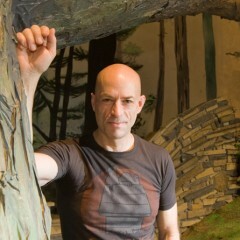 UM-Flint Associate Professor of Theatre Janet Haley, who directed the production, said Bilaski made “poetic choices” throughout her design of the set, and accurately depicted the time and place. 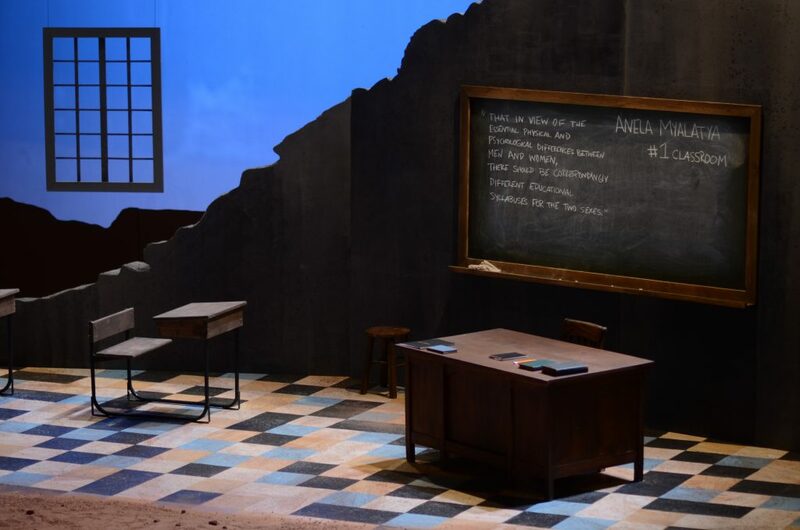 The set included actual sand and pebbles, which the crew painted to match the red clay color of South Africa’s soil. Bilaski also designed each scene with 3D renderings, before working to get the real materials to make it work. She collaborated closely with the costume and sound crews, to ensure there was proper space to place speakers, and that the colors within her sets did not overlap or clash with the costumes. 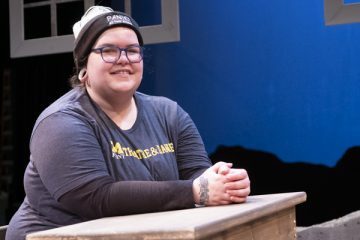 The work, which was Bilaski’s senior capstone project, further prepared her for a career in theatre.